The customer was aware of an overall cost difference, but they wanted to look at the individual cost elements in the context of the event as a whole – with all records related to the ER visit in one consolidated view. They then wanted to make comparisons between the facilities depending on the diagnosis and the professional providers that were treating patients. The Utilization Metric module in Plan Analytics gave the customer the tools they needed. Typical search methods would only identify those records identified by a single facility code. 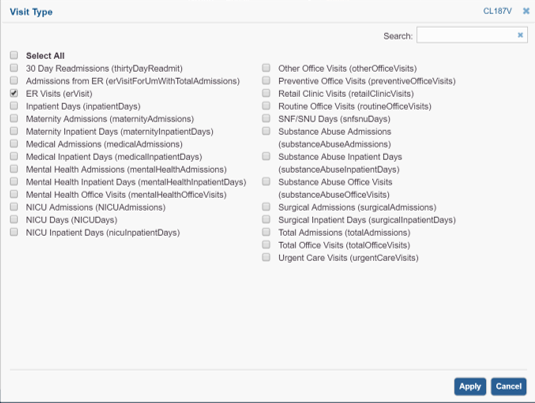 The Utilization Metric module goes beyond a code search to identify all records associated with a healthcare event. For an ER visit, for example, Utilization Metric groups all related claims – the ER facility charge, any x-rays done for the patient, any medications given during the visit, etc. – in what Deerwalk calls an “all-in view”. Our customer used the Utilization Metric for all ER visits, then drilled down into diagnosis and procedure information related to the visits, and the total costs under each selection. The Plan Analytics’ SumIt feature then allowed the customer to make the necessary comparative analysis. SumIt allows aggregation by multiple data parameters, including Facility and Professional Provider. 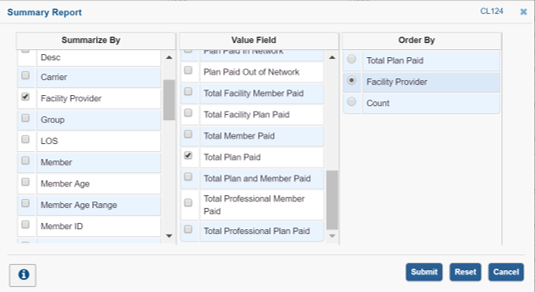 The customer used SumIt to segment the plan-paid cost for each of those parameters, and others. The customer finally pulled all the details to compare the two facilities in question and compare cost for visits by diagnosis, etc. They could then review the results with their client. In some cases, the client then worked with the facilities on cost negotiations; in others, the client revisited its plan design incentives to get better performance across its network. Customers seeking more information on this Use Case or Plan Analytics’ procedure groupers should contact their account managers. To contact a Deerwalk representative to learn more about our population health analytics solutions, or schedule a demo, click below. Subscribe to our blog, facebook, twitter or LinkedIn page to join the conversation and tell us what you think.